For months, the NBC Connecticut Troubleshooters have been investigating the death of Kevin Bell, the first Hartford firefighter to die in the line of duty in 40-years. Today, new information came to light about Bell's training record. The Hartford Fire Task Force, made up of several former fire chiefs, met Thursday for the sixth time. The task force has focused its inquiry on training, specifically relating to Bell and the months leading up to Oct. 7 of last year, the night he died in a fire on Blue Hills Avenue. During the meeting, former Chief Edwin Casares read from an email from Deputy Chief Dan Nolan, dated April 1, 2015. It's a response to the task force's inquiry about the training of Bell and the department as a whole. 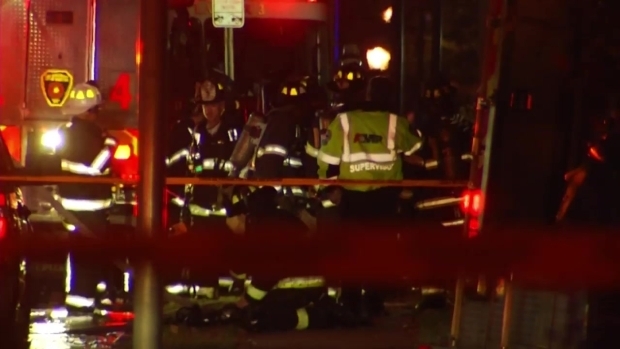 A federal investigation has found that a low-air alarm on fallen firefighter Kevin Bell's breathing tank failed a test after the fire that killed him in October. In the email, the training deputy chief said department records indicate that Bell had no live fire training in the 18 months leading up to the Blue Hills Avenue fire. In fact, only three companies had any live fire training over that same period of time. That amounts to a total of 12 Hartford firefighters of some 300 in the department. The task force will meet again on April 16, and today they said they intend to invite Deputy Chief Nolan and Fire Chief Carlos Huertas to attend and answer several questions about training protocols and why there has been so little the live fire training in the past two years. The air pack used by Hartford firefighter Kevin Bell, who died in the line of duty last October, failed inspection prior to Bell's death, according to a federal report. We reached out to both Chief Nolan and Chief Huertas. Nolan said he has not yet been asked to attend the meeting. Huertas referred us back to Nolan for answers.